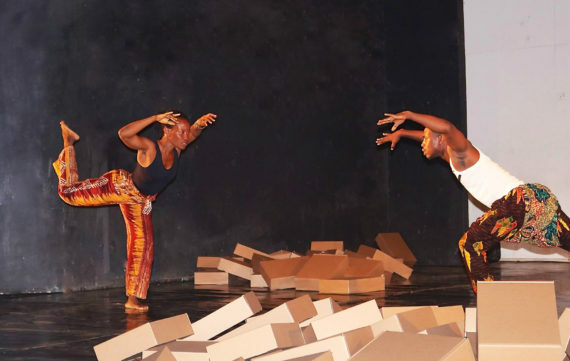 A compelling duet by Israeli dancers Oded Ronen and Ligal Melamed last week turned the ETS Drama Studio at the University of Ghana (Legon) into a dance groove, where agile bodies freely explored abstract issues and concepts. Titled “Capsule”, the piece is a philosophical one with the two dancers exhibiting class and craft through restrained and composed movements. 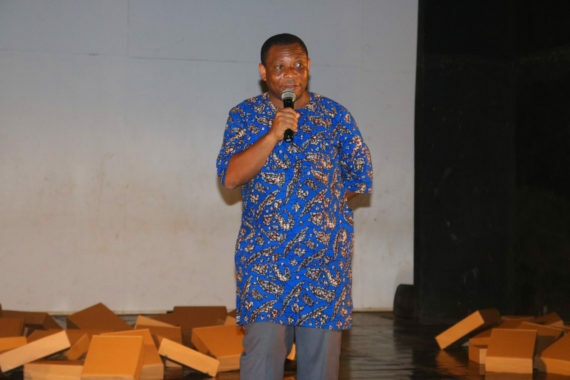 Indeed, it encompasses diverse notions including identity, relationships, community and beliefs among others. 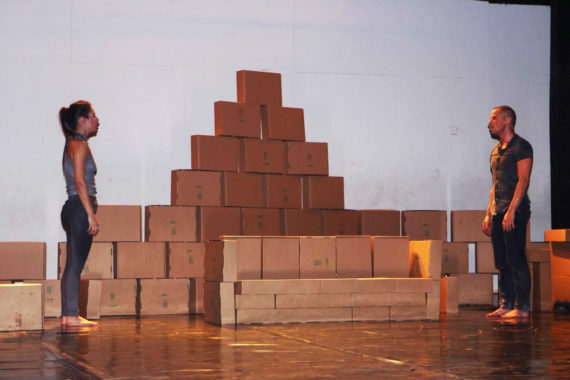 With dozens of card boxes strewn across the stage, Ronen and Melamed employed rather sublime and tender body movements while constructing, assembling, destroying and exploring the mythology of relationships. 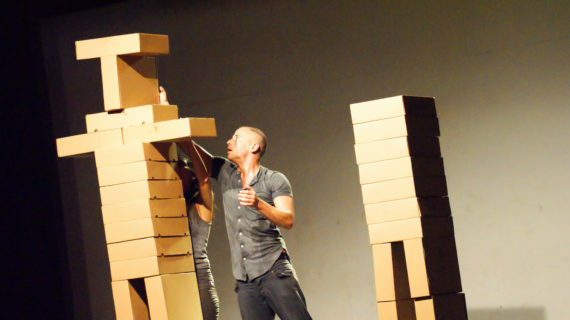 Interspersed with music by Ronen Kozokaro – arms, torsos, heads, hands and other body parts were constantly in motion. Employing classical virtuosity, they effectively combined contemporary sensibilities while unfolding a fascinating experience characterized by majesty and mystery. Choreographed by Ronen, “Capsule” is equally about mutual discovery, tenderness and ecstasy that are beautifully articulated through the choreography. Undeniably, a great deal of energy emanated from the stage as the dancers moved with amazing ease from one sequence to the other. 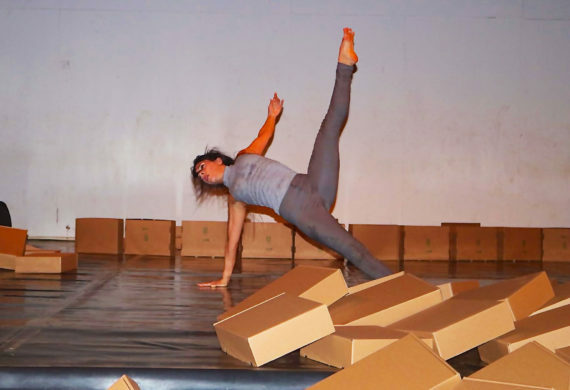 In some instances they pick up the card boxes so gently it feels as if it embodies their soul – and other cases they just shuffle them around and dump them. In the end, they reassemble them in an upright and delicate manner as their bodies interchanged through expressive movements and gestures. Earlier, choreographers / dancers Kofi Anthonio and Sena Atsugah enchanted the audience with a short piece titled “The Match”. 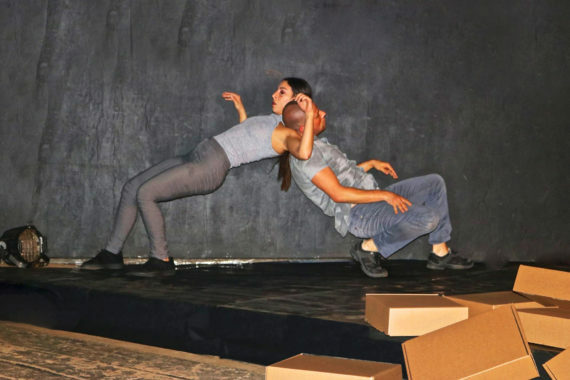 With bodies moving in unison alongside subtle curves and tilts, they unveiled a sleek, compelling and moving piece that is equally visually stimulating. The pair, who are also academics, vividly showcased the fact that their versatility as performers has grown with smart and unpredictable works in recent times. Indeed, they appeared to be full of freshness, calmness and zeal as they moved from one end of the stage to the other. 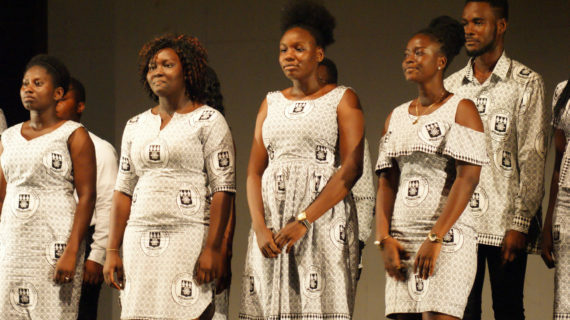 Accompanied by a choir from the Music Department, Anthonio and Atsugah, who are with the Department of Dance Studies, wove together an exhilarating order of movements as they exited the stage with grace and composure. 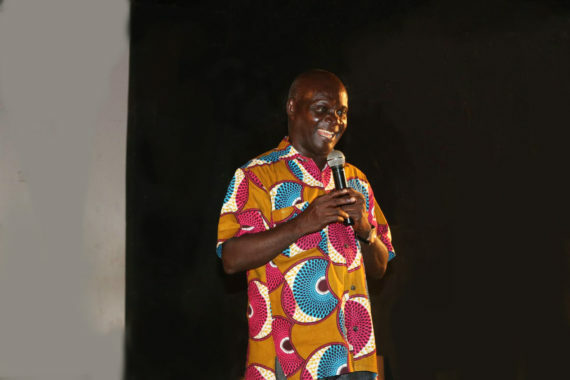 Present at the performance, which forms part of activities marking a project dubbed “Dance Bridges” include HE Shani Cooper Zubeida (Israeli Ambassador in Ghana), Prof. Kofi Agyekum (Dean of the School of Performing Arts) and Dr. Sylvanus Kuwor (Head, Department of Dance Studies). 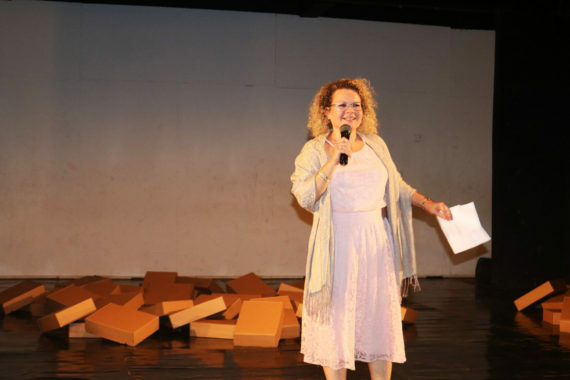 Israeli Embassy in Accra organized “Dance Bridges”, which also encompassed lectures, workshops, film screenings and master classes in collaboration with the School of Performing Arts, University of Ghana, Legon.